General Description: Udy Hot Springs​ also known as Belmont Hot Springs is privately owned. The property is currently closed and not open to the public. Campworld went bankrupt. Location: From Salt Lake City, Utah is 85 miles or about an hour and 15 minutes to drive to the hot springs. Accessibility: The accessibility does not exist. Belmont Hot Springs​ is closed to the public. Hot Springs: ​UdyHot Springs flows from fractured Paleozoic limestone at a small escarpment between the flood plain and the higher terraces of the Malad River Valley. Water temperatures range from 93° to 125°F (34° to 52°C). A large lake containing several spring orifices is the most conspicuous feature of the springs, but a series of smaller orifices given names such as “Indian Pool,” Morning Glory Hole,” and “Mud Pots” are present south of the large lake. Water from all orifices drain directly into the Malad River. 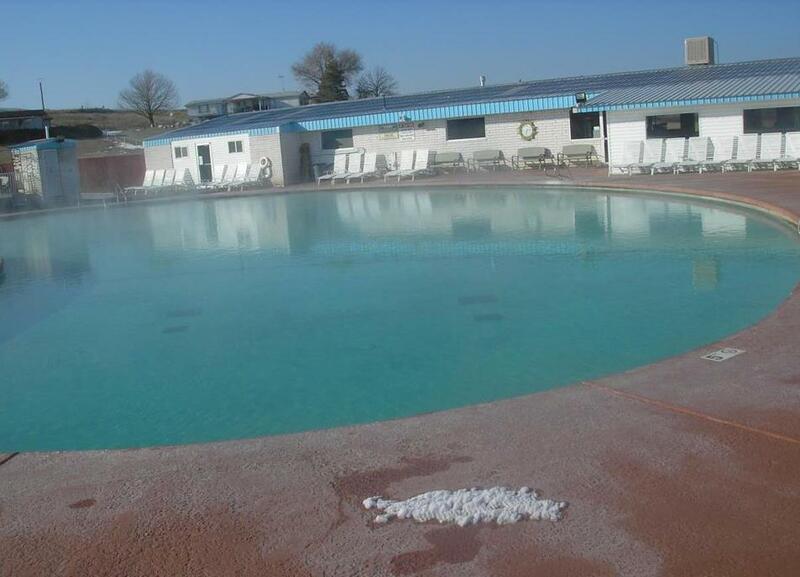 Hot Spring Tips: ​Udy Hot Springs is due to open in the future. Stay tuned.